My neighbors are super thoughtful and they blessed me with a HUGE cabbage and a whole box of cucumbers. Well as many of you know, these are both best used fresh so I wanted to find a recipe that utilized both of these garden veggies. I would have preferred olive oil but I didn't have any on hand so just used vegetable oil. I put it in the fridge for a couple hours before dinner and it gave it a crisp, cool taste! What a nice, light salad. And the lovely summer cucumbers are showing up in the market now. Thanks for the idea and recipe! 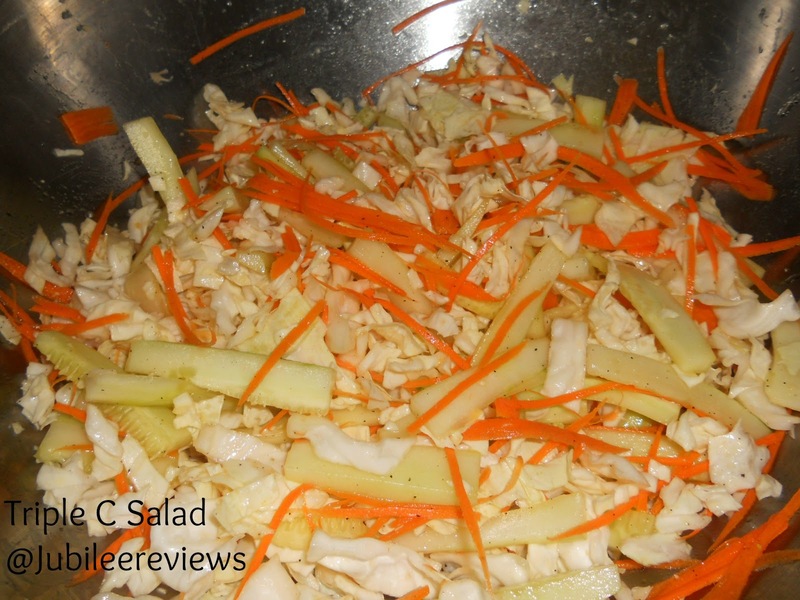 My husband loves coleslaw so this is for him!